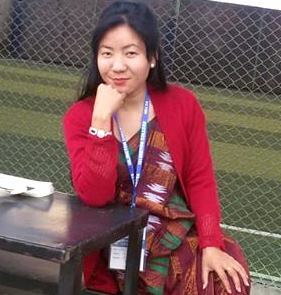 Nepali English teachers are a smug community: smug because the society has so far accorded us reverence, smug because the world is still crazy after English, and because we feel English is a difficult thing. The community is also strange because it looks like a community despite being founded upon such problematic binaries: education-humanities, guru-chela, old-new, mature-immature, central-peripheral, public-private, native-foreign, modern-traditional and the like. Fortunately, despite these potential causes of friction and subsequent discourses, we are not unbearably in controversies. We have rather been unbearably silent — if ‘dumb’ is an improper word for this platform. We have not developed a culture of raising productive quarrels. Many of us overlook the problems underlying our smugness. Chances are that someone from a different field possessing our type of competence in English can say: “What’s there to teach in English that no one but English teachers can do?” It is not a foolish question. There are people who believe English is everyone’s cup of tea, limited to cramming a few rules of grammar, and being able to read and write in English fairly well. We would like to say: ‘No, English transcends these fundamentals.” We would also like to say: “The English teacher has challenges and therefore responsibilities.” But, how many of us have sufficiently spoken of these challenges and responsibilities? How many of us have invited the members of our community to speak? Most of us have not (or do not want to). First, we have not sufficiently realized the eclecticism of our field beyond formal classrooms. Second, overburdened by manifold personal choices and obligations, we avoid the urgency to update our profession. Third, we are too ‘established’ to see any need to compete in a changing world, to outgrow the halo our predecessors have created around us. Fourth, we are not moved by threats of redundancy because redundancy in our part of the world is not a practical condition so long as non-professional connections outscore professional competence. But, we do not live a time when we could judge the worth of others in terms of how correct their English was. We live a time when the world instead judges us for our want of diversity, for the absence of readiness to participate beyond the ritual, the traditional, the comfortable, the riskless. It pinches most of us to be reminded of our passivity, to be criticized for only growing our population, not professionalism. It also hurts us to be asked to think and act more democratically beyond the aforesaid binaries, to be at par with the needs of twenty first century scholarship which demands sharing beyond age, gender, locale, level of competence and any hierarchy hindering our mutual growth. Our intention in this issue of Nelta Choutari is to pinch the English teaching community out of slumber, so that we wake up to speak no matter how clear or vague we are. Please wake up to poke the Choutari team, at least, because we have begun to be a bit cheeky. The Choutari is the public sphere of Nepali English teachers, to reiterate the motto. Let us work to transcend the commonplace and help one another grow professionally. We are celebrating the New Year 2067 with this tickle. Come join us in this mood. Come challenge our smug culture of sharing very little or nothing. In Choutari’s January 2010 issue we had stated our fresh agendas for networking with and helping a wider population. We restate them as our commitments for the year 2067 and ahead.